For millions of Americans, one of the first things they do in their mornings is reach for a cup of coffee. While it’s common knowledge that coffee can provide you a jump-start to your energy levels, this deliciously common beverage can do so much more. If you’re interested in learning exactly what coffee does to your body and brain, and what benefits you can expect after drinking one of America’s favorite beverages, continue reading. While coffee will never be as strong as other performance-enhancing drugs, study after study has found that caffeine can significantly enhance your overall athletic performance. Because of this, many pre-workout supplements heavily rely on caffeine to boost your overall performance. When you consume caffeine, your muscles experience a unique metabolic effect, which works to enhance your endurance levels. Biologically speaking, when you consume caffeine your muscles are able to better burn fat as an energy source. Instead of calling upon carbohydrates to boost athletic performance, your overall endurance is increased. However, more doesn’t necessarily mean better. If you consume too much caffeine, your athletic endurance will actually decrease. Whether you’re at work or at school, there’s always a need to increase your overall focus and concentration. Numerous studies have found that consuming coffee (caffeine) significantly increases your overall levels of focus and concentration by stimulating your central nervous system and supporting neurotransmitter activity. As with athletic performance, caffeine intake determines its effectiveness. Take too much caffeine and your focus will dwindle. With the advent of energy drinks, which are loaded with caffeine and other stimulants, many people feel that the more caffeine they consume, the sharper they’ll be. However, this is far from the truth. In biological terms, when you add too much caffeine to your body, the cells will stop working as they should within a stimulated state as they become numb to its effects. This is commonly referred to as cellular attenuation. The biggest thing to remember is only drink coffee when you actually NEED a boost in energy and focus. So many people think that caffeine and coffee are addictive substances. Although when you quit drinking caffeine, you’ll typically experience a short-term moderate headache. However, this does not mean you’re going through serious withdrawals. Unlike what you may believe, you can’t become physically addicted to coffee; however, you can become habitually addicted, which means you simply crave the habit of drinking coffee, not the actual substance. 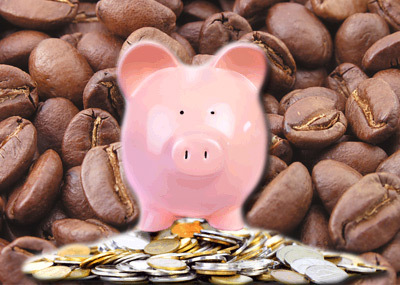 Coffee: a Brilliant School Fundraising Idea! I’m involved with quite a few campus programs and organizations here at the University of South Carolina. My student government committee was recently tasked with brainstorming fundraising ideas for some of our more expensive initiatives for the 2014 school year. 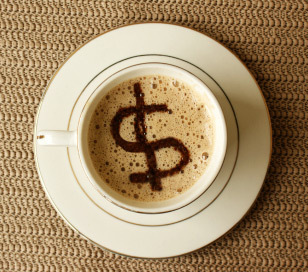 I began to look around, and eventually my search lead me to explore coffee fundraisers. Searching for school fundraiser ideas? Before I contacted the standard big fundraiser companies out there, my committee and I first compiled a list of what we’d like to see if we ended up going the route of a coffee fundraiser. The coffee must be good. This means good sources of origin, high quality beans, fresh roasted, and shipped right away. It shouldn’t be purchased upfront, and it shouldn’t sit in a warehouse (or your dorm room) for a month or two while you run the fundraiser. You shouldn’t have to commit upfront. The best fundraisers allow you to go out and sell, then order the quantity to fulfill the orders you were able to secure. There should be a team behind you. A fundraiser program is great, but without good support from the company behind the program, you won’t be nearly as successful. An online option. While traditional fundraisers are great (think door-to-door Girl Scout type), we were looking to do an online fundraiser on our college campus. Us college students rarely use cash, and buy most everything online as it is, so the ability to reach out via our social networks and email address book to promote our fundraiser was certainly a weighted bonus. We contacted 5 different companies (Giving Bean, School Spirit Coffee, Driven Coffee, Coffee Beanery, and We Care Coffee), and requested information on their program and a small bag of sample product. At first it seemed that those who had the strongest fundraising programs lacked high quality coffee, and one roaster in particular had excellent coffee, but their program lacked the sophistication we were looking for. But after a few meetings with the team, we eventually worked our way through the candidates and were pleased with what Driven Coffee’s fundraiser program had to offer. Driven has some great school fundraising ideas, and a great sales and support staff. They are always responsive, and they had great tips to help make our fundraiser successful. As compared to the others, their coffee was the highest quality, the freshest roast, and their fundraising program met all of our criteria. It’s currently early December here on campus, so we’ll be going home for winter break soon. But after returning in early January, we’re going to hit the fundraising hard and see how much coffee we can sell by Spring. Look for an update here on my blog as I’ll be reporting on the success of our school’s coffee fundraiser campaign. As a coffee enthusiast I’m pretty excited about this one, and I’m eager to get started! There’s nothing like waking up to the smell of a freshly brewed pot of coffee. When I went off to college, I made sure to buy a coffee maker with a timer function on it so that I can have coffee ready when I get out of bed each morning. My bedroom is right next to the kitchen so when my alarm goes off I can smell the coffee waiting for me and I am much less tempted to push snooze five times. I truly feel like I am missing a limb if I try to start my day without my favorite mug in hand. I think one reason I like my morning cup of coffee is that it brings me a feeling of stability. There’s something about a reliable morning routine that comforts me and helps me look forward to the day. Don’t get me wrong, I also love my afternoon coffee and the occasional cup in the evening as well, but there is something comforting about your morning cup of caffeinated goodness. I guess you could say I am a little bit of an addict (but when else would I own this blog?). The flavor of coffee (given you drink good coffee) is so complex. There are so many different notes and tones depending on the roast, country of origin, and how it’s brewed. I typically drink a light roast in the morning. I find it to be more refreshing and the flavors more complimentary to my breakfast foods (light roasts also contain more caffeine!). In the afternoon I drink either a medium or dark roast depending on my mood and snack choice. I always prefer a dark roast if I drink coffee in the evening. I find it more rich and decadent and sometimes it has chocolaty overtones. There are many different ways to obtain a good bag of coffee. As a college student, I tend to buy most things online. After a little research I found a few good coffee roasters where I now buy coffee online. It seems these online stores have a greater variety of roasts and origins to choose from, as compared to your local grocery store or big brand coffee shop. I don’t think I could live without coffee. It helps get me up in the morning and encourages me throughout the day. If you’re reading my blog, I assume you feel the same way. Well, it’s almost 1pm here in South Carolina, which means it’s time to brew a fresh pot for the afternoon! Yes, the cliché is true. Us college students like to hang out in coffee shops. 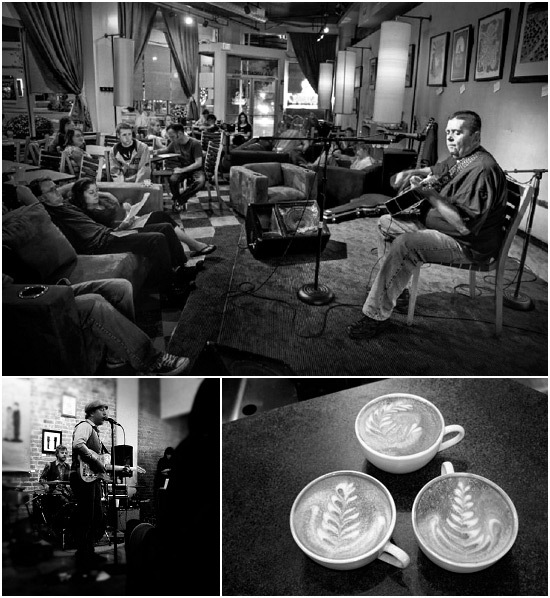 We pretty much live at cafés and coffeehouses, in fact. One of my favorite past times is trying out new third wave coffee shops, or artisanal coffee shops. These places pride themselves in serving high quality coffee, freshly roasted locally or in-house, and brewed to perfection using the best equipment. These types of places feature hand-crafted beverages that will blow and chain latte out of the water. Allow me to go into a little more detail about why you should make these shops part of your routine instead of frequenting your local Starbucks. While chains often have good coffee, it does not compare to the wide range of coffees offered in third wave shops. These coffees are chosen by people who view coffee as artisanal and not just a regular commodity, and carefully select and purchase the best coffee beans from around the world. Once selected, these coffee beans are roasted either locally or in-house allowing the freshest flavors possible. Chains receive shipments of coffee beans in large quantities and this process and time take away from the aroma, freshness, and flavor of the bean. Also, artisanal coffee shops hire and train only the most dedicated coffee-lovers. Their barista’s are trained to craft each beverage individually, often weighing the beans to ensure the perfect amount of espresso for each drink. If you’re looking to order some yourself, I recommend you try some of the best coffee beans here. You can search by origin, or by roast profile. This offers a variety and specialty grade of bean you’ll find on-par with your local specialty coffee shop. Another thing I love about third wave coffee shops is the unique ambiance each one has to offer. Often the shops contain local flavor in the style, décor, and even the music. Many display local artwork, play local music, and have beverages named for their home-town. I have been to many that serve their drinks in hand-crafted mugs or with creative designs in the latte foam. Every shop has an individual style, making the visit exciting and unique. They provide a cultural experience, not just a cup of coffee. 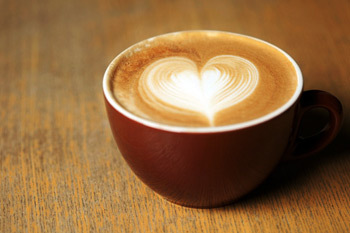 So next time you are in need of a cup of coffee consider hunting down your local artisanal shop and try something new! Third Wave Coffee Shops are more than just specialty coffee – it’s about the culture. Life is Expensive. So is Coffee. Money these days is tight for everyone in our country, especially us college kids. Cost of living climbs higher and higher, and yet, medium household income is dropping as the recession continues and layoffs are becoming a depressing norm. Everyone is looking for more cost efficient ways to live. One way to save is to take up a new hobby! This may sound counter-productive at first, but the pastime I am referring to is that of in-home coffee roasting. If a family consumes an average of a pound of coffee a week, home roasting could save them roughly $400 a year. Should I Roast Coffee and Home? Do I drink a lot of coffee? Do I need to make some cuts in my budget? Does it sound like a fun way to spend some time? If you answered yes to some or all of these questions, then maybe coffee roasting is an endeavor you should pursue. It is time consuming, and like any new hobby there is a learning curve. However, it can be an exciting new adventure, one that allows you to learn and grow in new ways. You will have a great supply of fun and memorable gifts for friends and family who enjoy a good roast and you can also meet new coffee loving folks along the way. Perhaps the $400 a year incentive is not enough to make you want to climb aboard this bandwagon, but the perks of a new adventure and the prospect of achieving something new will encourage you to look closer at the possibility of home roasting. Start-Up Home Roaster Cost, totally worth it! My Hottop Coffee Roaster KN-8828B-2K which I purchased online. One important thing to keep in mind, like with any new hobby, is the initial start-up cost. Before you run out and buy an expensive micro-roaster, you may want to experiment with other inexpensive home roasting methods (which can be easily googled) to see whether coffee roasting is an enjoyable way to spend some of your time. Once you have determined the time it takes and the value of your time vs. the amount of time you are investing in this new journey, you can make a more educated decision on how deep you want to wade in the waters of home roasting. 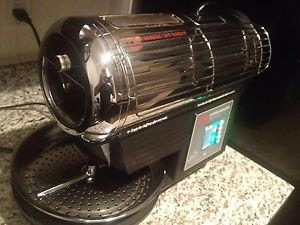 I personally have a Hottop Coffee Roaster – model KN-8828B-2K – which ran me around $1100. That sticker may shock you, but it’s one of the best home coffee roasters out there, and me and my college mates easily broke even within a year with the amount of coffee we roast and drink on a weekly basis. There are many other home roasters out there that may fit your needs, but for my volume and quality needs, hottop was definitely the way to go. Whatever route you choose, remember to have fun. 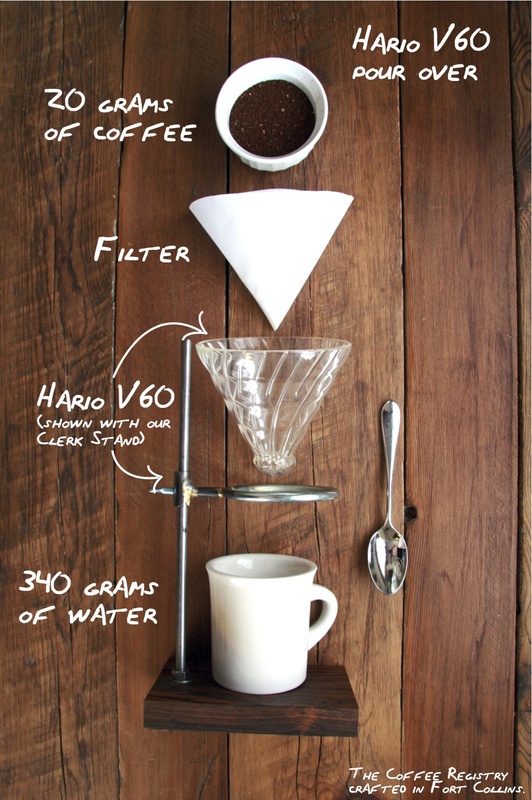 Home roasting is much more than an economical way to enjoy fine coffee. It’s a a hobby, a specialty craft, and a passion. Happy Roasting!